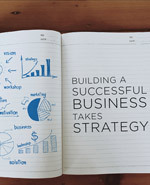 Building a successful business takes strategy | Spa Inc. In a world of stress, spas are a serene environment offering relaxation and momentary relief from the daily grind. But for the spa owner, this tranquil space is a place of business and success in the spa industry is not a certainty. 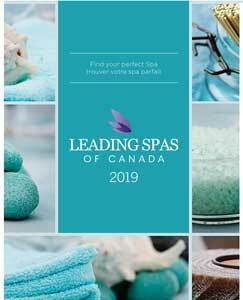 According to the 2006 Canadian Spa Sector Profile, the industry has become increasingly competitive over the years with a cumulative Canadian growth of 329 per cent from 1996 to March 2006. Cass and his team of industry professionals coach spa owners on the business side of running a spa. Their guidance helps spa owners stay on top of current trends and make decisions for their particular location that will put them ahead of the competition. Innovation can happen at many stages of a spa’s lifecycle, often for different reasons. New spas are looking for a competitive edge. Older, more established spots like Ste. Anne’s Spa in Ontario and Manitou Springs Resort & Mineral Spa in Saskatchewan, are aiming to grow their business and maintain repeat customers. Guests have been going to Manitou Springs since 1987 to bathe in the highly concentrated mineral water. In 1991, a hotel and aesthetics area were added and this year, CEO Dwight Hayter renovated and expanded the resort’s Serenity Massage and Esthetics area again after an increase in guests at the mineral pool left the Serenity cramped and unable to accommodate everyone. With this added space, Serenity is now able to provide couples’ massages, group manicures for up to eight people, facials, men’s treatments, and reflexology. 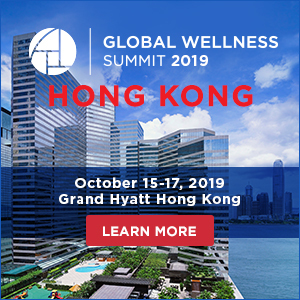 The CEO says he travels internationally and added the last two treatments after observing the global industry’s move toward holistic and men’s only experiences. For Jim Corcoran, the owner and general manager of Ste. Anne’s Spa, it made sense to hire Cass as a consultant when he was looking for alternative ways of marketing the spa. Regardless whether you want outside help or choose to innovate on your own, it’s important to understand industry trends and your target consumer. Staying connected with the business of the spa will help locate areas that could improve the bottom line. With thousands of available options, picking the perfect products for a spa can seem like an impossible task. However, Grace Nesci of Sigmacon Skin Sciences says when selecting retail products the decision should first start with the supplier. Look for items that are both well-known and well-made. Also, make inquiries into additional services and support offered by the company with regards to incentives, promotions, and gifts with purchase. 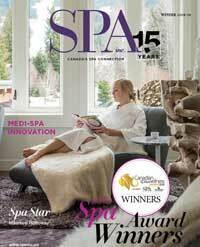 Spa innovation in its simplest form involves customization and communication. “Don’t just offer any typical service because they can get that anywhere. Customize your procedures because it’s that customized experience that will make the client want to come back to you,” says Nesci. When performing a facial, for example, she suggests using a specialty serum that can then be recommended for home use. Choose a product that will effectively tackle skin concerns which were discussed with the guest prior to the treatment. There are also much simpler ways to customize a guest’s experience such as offering a neck and shoulder massage while they get masque treatment. At Manitou Springs, guests are given the option of using the mineral pool before and after a massage which complements the treatment by loosening up the muscles. They also sell mineral products with salt harvested from their lake–items that are unique to their spa. For a spa to stand out it, it must have personalized treatments and exceptional attributes that set it apart in order to turn walk-ins into weeklies. Sometimes the most innovative option might not be the best. These five treatments push the boundaries of beauty into the realm of bizarre. Vampire facelifts are the hottest thing in Hollywood with everyone from Kim Kardashian to Gisele Bündchen trying out the new fad. 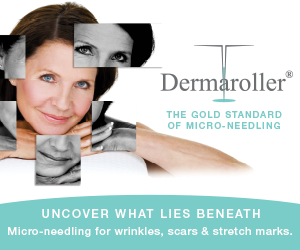 The procedure involves having blood taken from your arm and injected into your face. It’s said to reduce fine lines and create volume with results showing in as little as 4 to 6 weeks. Who says skincare innovation begins in the lab—it just may start with…poop? In Japan they’ve been using this product in skincare for centuries. Nightingale poop (don’t worry, it isn’t pigeon) is said to soften and brighten the skin. Now North American spas are starting to catch on to what’s being called the “geisha facial” and are charging over $100 a treatment. Curious about the smell? It’s been said to be musky or similar to rice bran. Hay body wraps have been happening in Italy’s Hotel Heubad since the early 1900’s. Guests are wrapped in warm, wet hay and relax on a waterbed for about 20 minutes. Afterwards, they are wrapped in sheets and relax for another 30 minutes with bits of hay still on their body. The treatment is said to strengthen the immune system, stimulates the metabolism and detoxify the body. They say to fight fire with fire, but what about aging? Flame facials are a terrifying new treatment out of China that involves the therapist placing an alcohol-soaked towel over your face before lighting it on fire. The open flames are said to stimulate cell regeneration and give the skin a youthful complexion.